to find the right look for your wedding from flowers to decor to fashion and beauty! 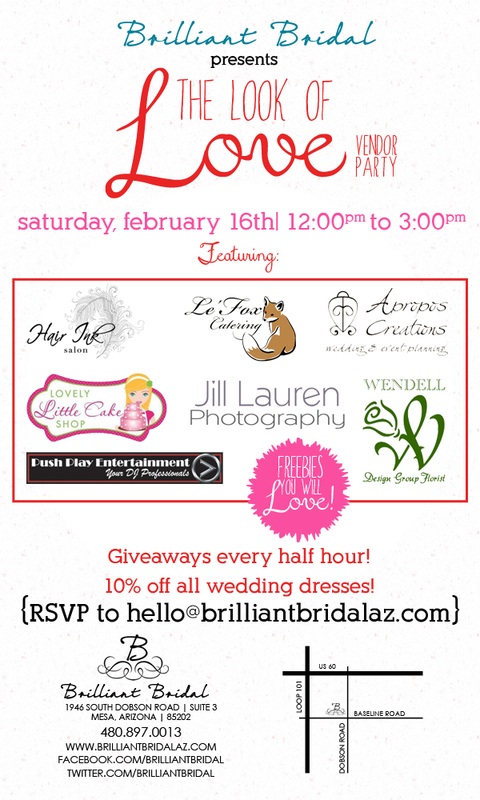 If you attended the bridal show in January you know it can be hard to actually meet and talk with vendors. Come find everything you need to plan a beautiful wedding in a more personal setting. Enjoy free food and drinks, great music, hair & make up "mini trials" and be inspired by creative design ideas. In addition to all of the festivities you can save BIG on your wedding dress purchase or tuxedo rentals! This event is right around the corner so put it on your calendar now because you won't want to miss it! Please RSVP for your self and your entire entourage through our Facebook event page.